Amiibo card packed in for a limited time. 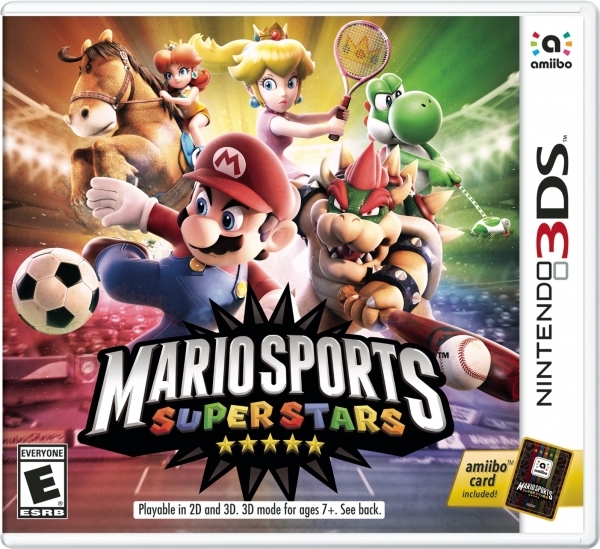 Mario Sports Superstars will launch for 3DS in North America on March 24, Nintendo announced. In Japan, the game was dated for March 30. Nintendo of Europe has yet to issue a release date. The game offers five full-featured sports: soccer, tennis, golf, baseball, and horse racing. Each sports stars Mario, his friends, and his enemies from the Mushroom Kingdom and can be played in local or online multiplayer modes. New Mario Sports Superstars Amiibo cards will add a variety of bonuses to the game. They can be purchased in blind packs of five at for $4.99 each starting on March 24. For a limited time, Mario Sports Superstars will ship with one Amiibo card packed in. View the game’s high-res box art at the gallery.